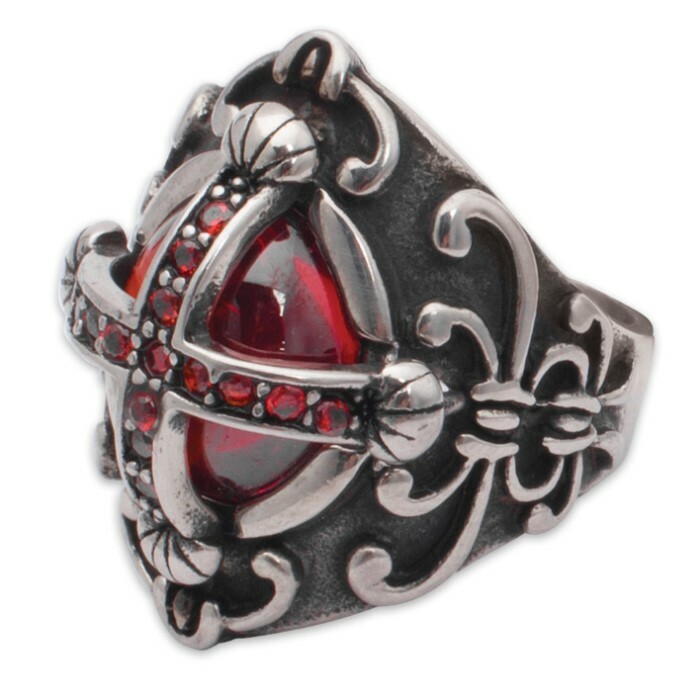 The Red Jewel Cross Ring is a remarkable Gothic ring that has the intricate, ornate details you look for in quality Gothic style jewelry. You’ve never seen stainless steel crafted as expertly and artistically as you see here. 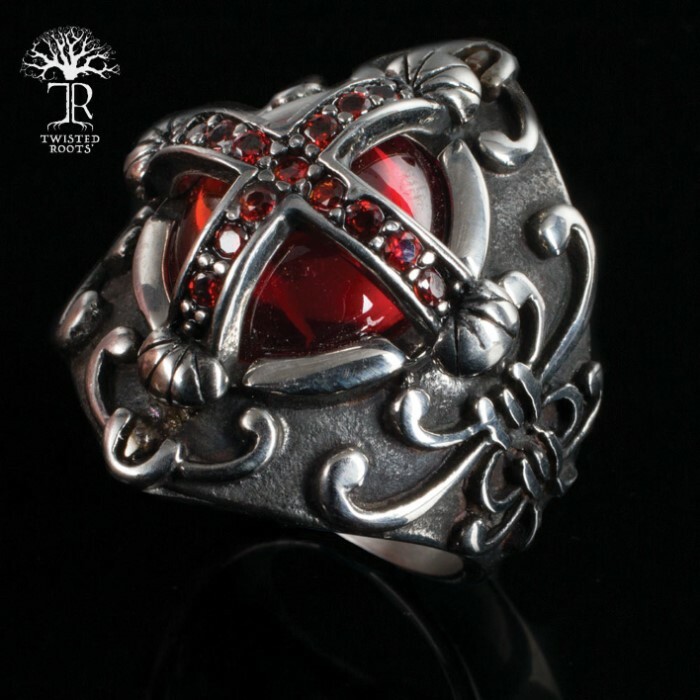 The ring is suitably impressive enough to draw looks when you wear it. It is available in sizes 9, 10 and 11. 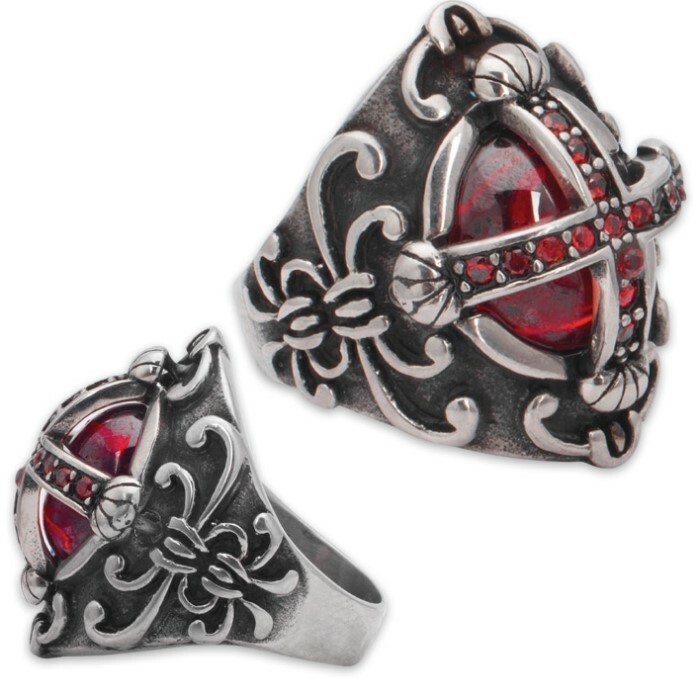 The ornate luxuriousness of Gothic that you deserve to wear!